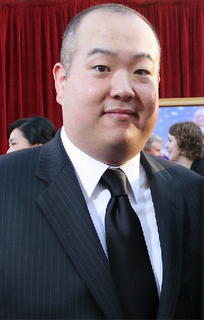 Jordan Nagai is the voice of “Wilderness Explorer” Russell in Disney Pixar’s “UP”. When he did the voice overs, he was only 7 years old. As a first time actor, Jordan Nagai was paired with Ed Asner as “Carl” for this odd couple comedy. Both leading characters are not what you typically see in films these days, an Asian American kid and a geriatric old man. Pixar is definitely being very progressive with this film. Read some sweet commentary about the film by David Chen over at /Film in the article Marketing Up’s Asian-American Lead Character. Apparently, Jordan supplied a voice on a future episode of “The Simpsons.” He’s the first kid to record on The Simpsons. Update: Disney Pixar’s UP is now available on DVD, get it here. The casting of this film is the opposite of 21, Dragonball Evolution, and The Last Airbender. Here’s an interesting article by the LA Times about how Jordan Nagai got casted. He beat out 500 other kids for the role including his own brother. Get tickets for UP here. From Disney•Pixar comes UP, a comedy adventure about 78-year-old balloon salesman Carl Fredricksen, who finally fulfills his lifelong dream of a great adventure when he ties thousands of balloons to his house and flies away to the wilds of South America. But he discovers all too late that his biggest nightmare has stowed away on the trip: an overly optimistic 9-year-old Wilderness Explorer named Russell (Jordan Nagai). From the Academy Award®-nominated director Pete Docter (“Monsters, Inc.”), Disney•Pixar’s UP invites you on a hilarious journey into a lost world, with the least likely duo on Earth. UP will be presented in Disney Digital 3-D? in select theaters. This entry was posted in interview, movies on May 29, 2009 by Kevin Hsieh - channel APA. Phylis is his nanny… Both his parents are never around… his mom is probably shopping all day and his dad is always working. Phylis does make an appearance when Russell is given his “helping the elderly” badge at the “Wilderness Explorer” Ceremony… Russell waives at her just after getting the “Ellie” badge from Mr. Fredrickson. I had a completely different take on the storyline. I assumed Russell’s parents were divorced and that Phyllis was his father’s new wife. I thought the woman at the ceremony was his mother. Lucy is spot on. Watch the movie 14 times like I have and you know these things.